Asbestos has been used prolifically as a building material since the 1950s, primarily due to its great insulating properties. It is often mixed with other materials, so it’s difficult to know it’s there. We provide a comprehensive asbestos removal service, including identification, collection, and disposal into our own cells in Devon. We can offer a range of enclosed skips with lockable lids, so you can store asbestos safely until the job is completed. Not sure if it’s asbestos? You can find out more about asbestos on our asbestos awareness blog post. Can I include asbestos in my general / mixed waste skip? If waste materials in your skip look like asbestos, we will test them. At this point, a photograph of your skip will be taken and our Customer Services team will be notified of possible asbestos contamination. 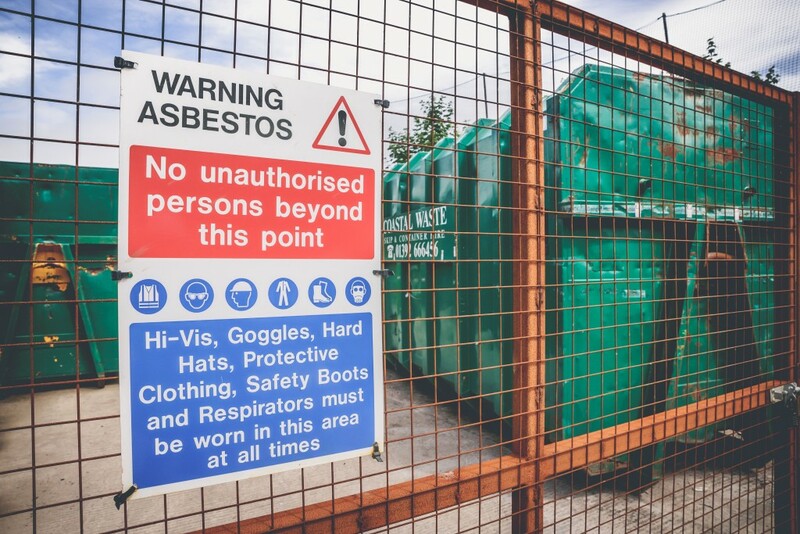 If asbestos is tested positive, the entire load will be contaminated and you will be charged the cost of disposing the entire contents of the skip. If you think some of your waste materials may contain asbestos, get it checked out. Isolating the asbestos at this stage could avoid the charge of a contaminated skip load! Our Customer Services team can arrange for a sample to be sent out for analysis. If the material is asbestos, you must have it collected by an asbestos removal specialist. How do I package up asbestos? Both fibrous and bonded asbestos must be double wrapped / bagged. Our Customer Services team can arrange for it to be collected once it has been appropriately wrapped.